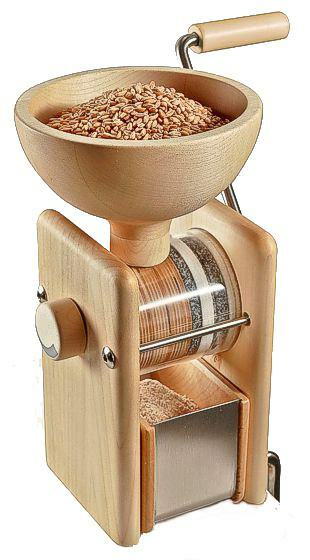 Popular grain mill for home use. 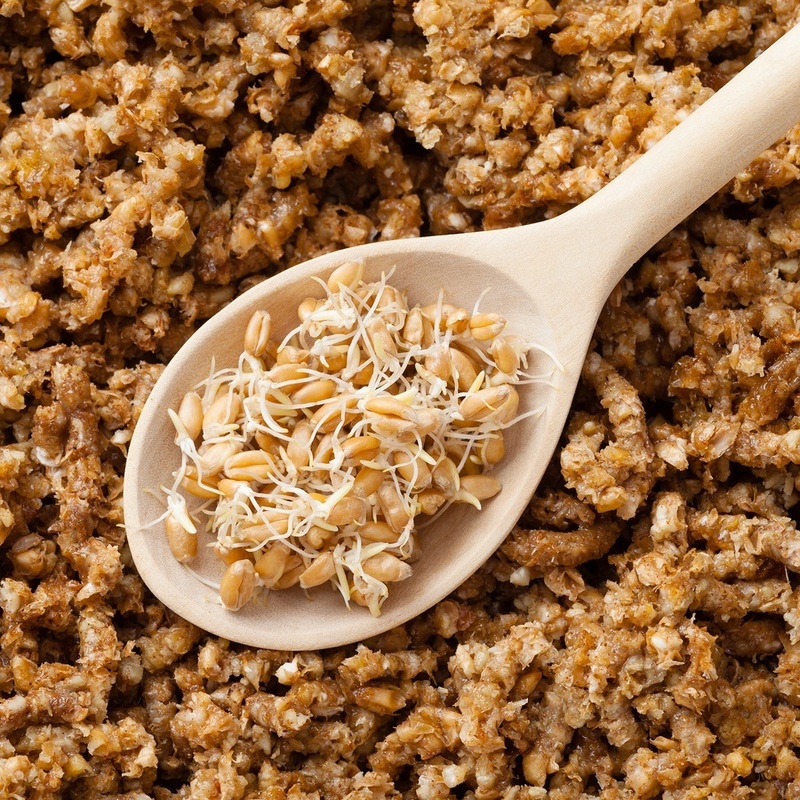 The process of sprouting grains is a simple one that can reap many benefits. Sprouting accomplishes a few things. Firstly, it aids in neutralizing some of the anti-nutrients inherent in seeds which can make them difficult to digest. Secondly, it boosts the vitamin content through the sprouting process. Finally, sprouting grains is the beginning of the conversion of an energy-heavy seed into a nutritionally diverse vegetable. To get from grain to sprouted bread, however, involves a few steps. 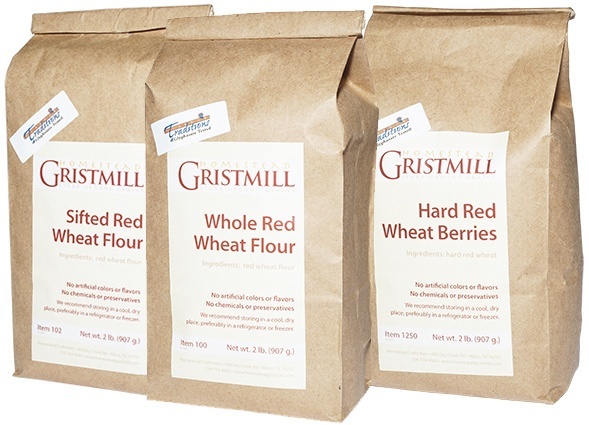 Not only does the grain need to go through the process of sprouting but if it is to be ground into flour via a grain mill, the grain must then be dried. This also allows sprouted grains to keep longer while avoiding the possibility of mold. Before beginning, you must decide upon sprouting equipment. Thankfully, most kitchens are already equipped with the possible tools. The most basic way to sprout is with a quart, half-gallon, or gallon glass jar and a sprouting screen or towel secured with a rubber band. Another option is to use a large strainer with very small holes. Keep in mind that when sprouting grains only a tiny sprout emerges before halting the sprouting process. Therefore, a larger quantity of grain is needed in order to achieve enough sprouted grain to make a loaf of bread. Once the grain and equipment are ready, the process is fairly straight forward. The first step is to soak the grain for 12 hours. This can be accomplished either directly in the jar which will be used throughout the duration of the sprouting or in a large bowl. Cover the grain with three times its volume in water. Once the grains has been hydrated through soaking, strain the water, rinse with fresh water, and strain again. They are now ready to sit for 8-12 hours before rinsing again. During this time the grains need airflow. In order to achieve this, prop the jar upside down at a 45 degree angle inside a larger bowl. This allows any residual moisture to drain off. If using a strainer, simply place it over a large bowl that will allow air to flow all the way around. Cover this with a tea towel or cheesecloth to keep off any debris or insects. Once the first 8-12 hours is up, the seeds need to be rinsed and drained once again. Simply proceed as above, rinsing and draining in 8-12 hour intervals. From start to finish the sprouting process usually takes 2-4 days. Halt the sprouting process via dehydration before the sprouting tails get much beyond the tiny tail stage. Before choosing a method for dehydrating the sprouted grain, it is important to understand that sprouting grains activates the enzyme activity of the grain. 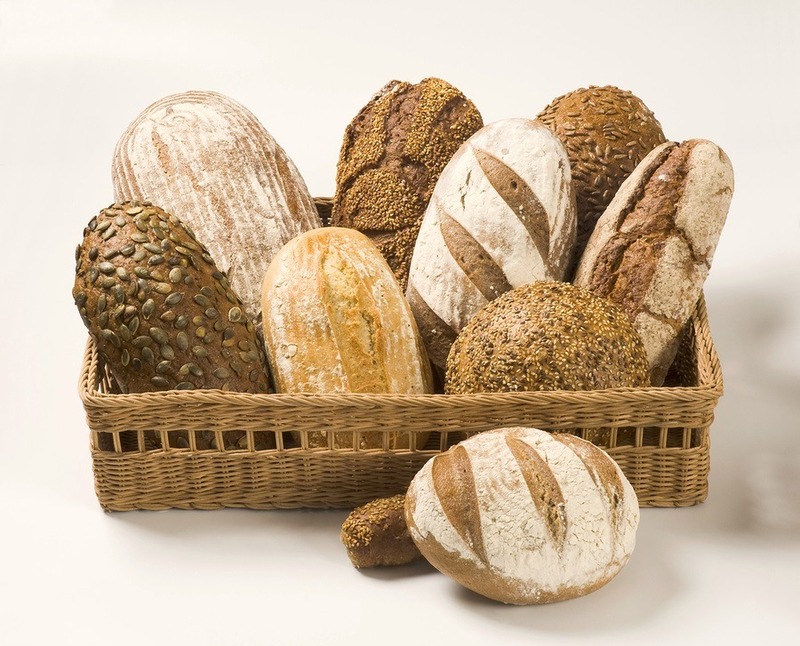 Enzyme activity can be beneficial in bread baking in that it brings about a depth of flavor to the dough while lending textural changes through the fermentation which might not occur as quickly otherwise. If it is your preference that this enzyme activity be maintained, then be sure to keep the dehydration temperature below 113 degrees Fahrenheit throughout the process. Above this temperature, the enzymes will start to denature and will eventually be destroyed. One common choice is an electric dehydrator. To dehydrate sprouted grains using this method, simply spread the grain in an even, single over the dehydrator trays. 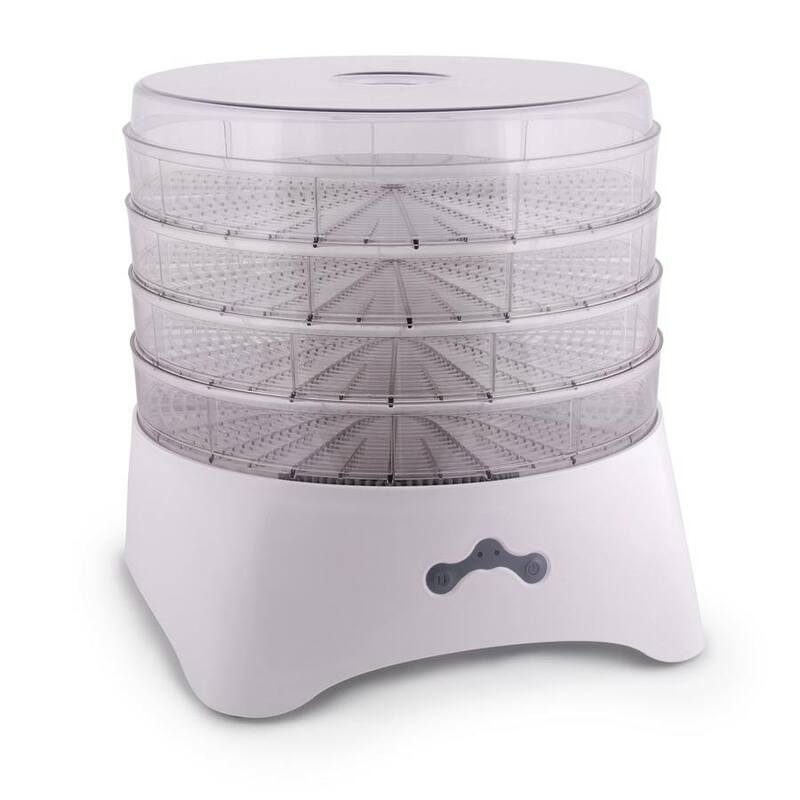 Set the dehydrator to the desired temperature – less than 113 degrees for enzyme activity maintenance. The grains will be dry enough in 12-24 hours when they can be tested as described below. An electricity-free option is to dry the grains in a dry, well-ventilated space. This can be done with a purchased non-electric dehydrator or a few simple pieces of equipment most kitchens already hold. All that is required is a couple of sheet pans and a breathable covering deter fruit flies or other insects. Spread the moist freshly-sprouted grain onto these pans in a thin, even layer. Place the pans in a dry, well-ventilated area, and cover gently with cheesecloth or a clean tea towel. Allow to dry for 18-48 hours, moving the grains around with the tips of your fingers a few times during the process. One final option is to simply use an oven. The lowest temperature on many ovens will still be above the 113 degree threshold. However, the grains can still be dried at the ovens lowest temperature of 150-200 degrees. The grains will dry faster due to the warm, dry heat of the oven so check them within 8-12 hours. The most important aspect of dehydrating the grains is to ensure that it is fully dry before putting it through a grain grinder or storing it. Grain that contains too much moisture can gum up a grain mill or cause mold. For the home cook there is a simple test that can be performed. To test for dryness be sure to weigh the grain before sprouting. Once fully dry, the sprouted grain should weigh approximately the same as the weight of the grain before sprouting. This is a good indication that much of the moisture taken up during the sprouting process has been removed. Once dry, the grain is ready for storage in an airtight container. Alternatively, it can go into the grain mill to be turned into sprouted bread products. Shannon Stonger grew up in a small town in northern Minnesota. She studied chemistry in college, graduated, and married her husband one month later. They were then blessed with two baby boys within the first four years of marriage. Having babies gave their family a desire to return to the old paths – to nourish their family with traditional, homegrown foods; rid their home of toxic chemicals and petroleum products; and give their boys a chance to know a simple, sustainable way of life. They are currently building a homestead from scratch on two little acres in central Texas. There’s a lot to be done to become somewhat self-sufficient, but they are debt-free and get to spend their days living this simple, good life together with their four young children. Glyphosate-tested wheat flour and wheat berries. Order here.